To listen to this blog post as an audio file on YouTube, click here. Happy November! Now that the kids have calmed down from the sugar rush of Halloween, it’s time to begin with Thanksgiving, Christmas, Chanukah, New Years, and all of the other great festivities that happen this time of year. If you’re like any other venue in the US, you’ll be doing lots of redecorating over the next two months to keep in the holiday spirit. Since you’ll probably be moving around merchandise, changing color schemes and signage, and giving your venue a bit of an overhaul anyways, the holidays are an amazing time to consider accessible design and make sure that your venue can welcome anyone this season. Also, besides it simply being the right thing to do, accessibility around the holiday season means spreading inclusion and good spirits, which could fit nicely into your holiday marketing campaign. Anyways, let’s get started. Here are 5 rules you must follow to make sure your store’s holiday make-over is also an accessible one. Use bright, well-lit decorations. 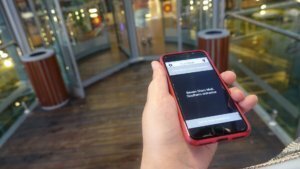 These will not only help your visitors who are blind or visually impaired be able to navigate your venue more easily, but they will also be an inviting attraction for sighted customers. Even better, use lighting to create high contrast elements and eliminate shadowy corners that can be misleading for people who are visually impaired. Include tactile elements, such as ornaments that people are welcome to touch or play with or jingle bells that visitors can hear ringing. If families frequent your venue, consider buying some cheap materials like popsicle sticks or pipe cleaners so all kids — with visual impairments or not — can create holiday-themed crafts while the parents shop. Include Braille or large-print written materials. If you’re reprinting menus or signs around your store to be in the holiday spirit, order extra copies in Braille or large-print. It won’t be a huge extra expense on top of what you’re already getting and it will make a world of difference to your visitors who are blind or visually impaired. Use smell. This is a subtle (and often overlooked) touch that can bring the holidays alive for all of your guests — not just those who are visually impaired. A candle or air freshener with the scents of the season such as cinnamon, pine, or vanilla, will surround your visitors with holiday cheer. Be mindful of new layouts and where you place decorations. Sometimes a large centerpiece decoration or reorganized merchandise can block familiar pathways around your venue. This can be a challenge for visitors who are blind or visually impaired because they are disoriented from how your store usually is. If you have the RightHear solution installed, make sure to update your venue’s information in the online dashboard to easily avoid this issue. If you haven’t installed RightHear yet, consider leaving large pathways and avoiding sharp turns so visitors using a wheelchair, white cane or guide dog can easily navigate in your reorganized space. What do you think? Are the holidays a good time to focus on accessibility? Tell us in the comments or on social media! 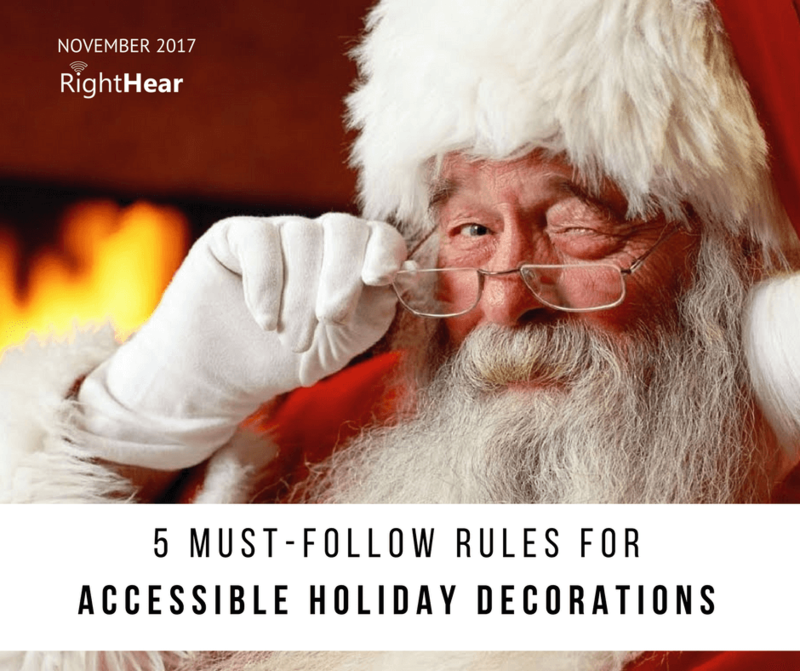 Share this article along with your own tips on accessible holiday decorations. 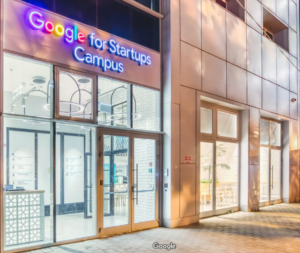 Google for Startups Campus has turned their space into an accessible environment for the blind and visually impaired, and your business should do the same.